Russian watchdog has found Listeria in the meat. Russia's Federal Veterinary and Phyto-Sanitary Oversight Service (Rosselkhoznadzor) is banning imports of poultry meat from a Turkish supplier effective December 1. The watchdog said the ban is being imposed on the products of Standart Gida Sanayi ve Ticaret Anonim Sirkorti because Listeria was found in the meat. Products shipped to Russia prior to December 1 will be subject to tighter laboratory control. 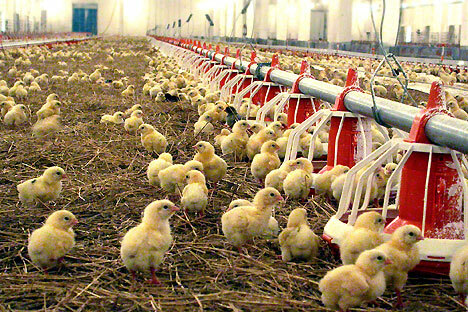 Sixteen companies in Turkey currently have the right to ship poultry meat to Russia, but a ban has been imposed on six of them due to violations of veterinary requirements. The products of one supplier previously cited for violations are under tighter lab control. If this supplier is found in violation again, it will also be barred from supplying products to Russia.